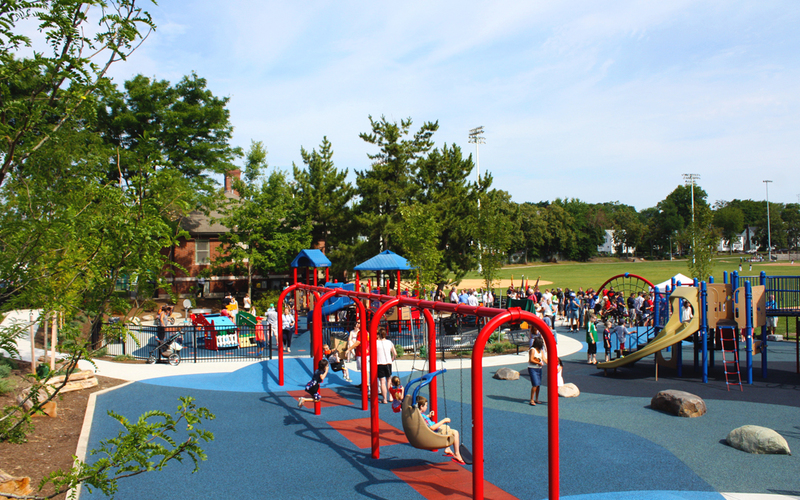 Billings Playground is a popular park in West Roxbury, MA. 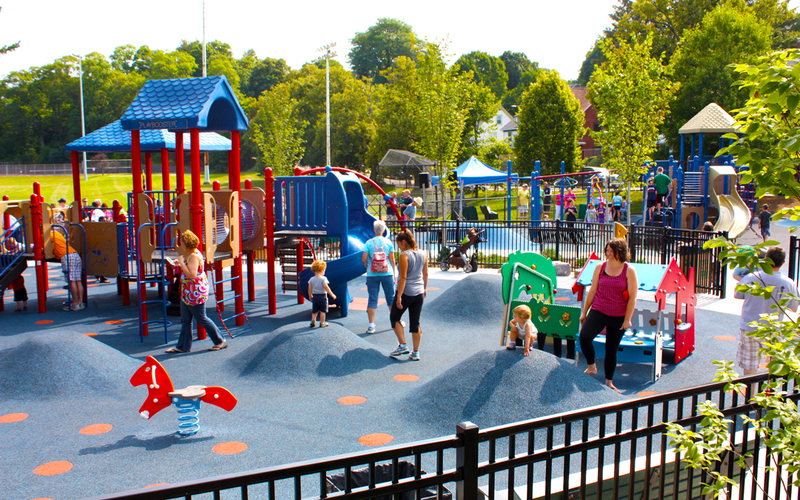 This project was a good example of managing the budget by refurbishing some existing play structures where applicable with new play elements and fun colored rubber surfacing in all play areas to give the playground a completely new look. 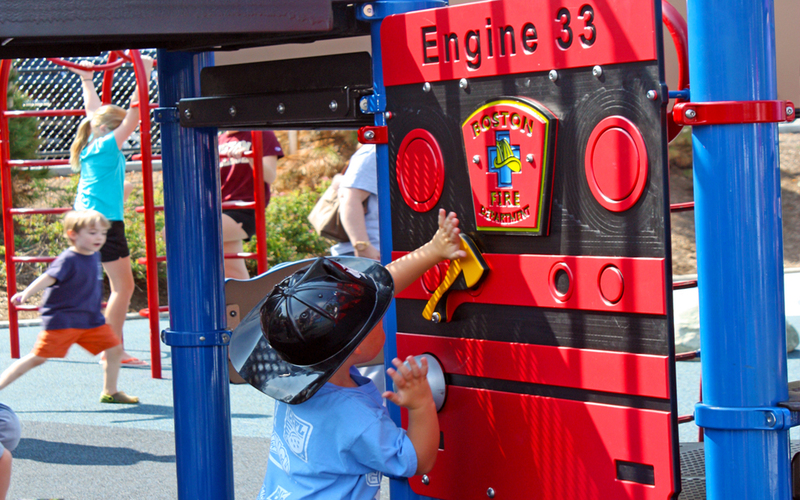 New equipment included a net climber, springer toys, racecar, a playhouse, and water play table, contributing to a wider environment of imaginative play. 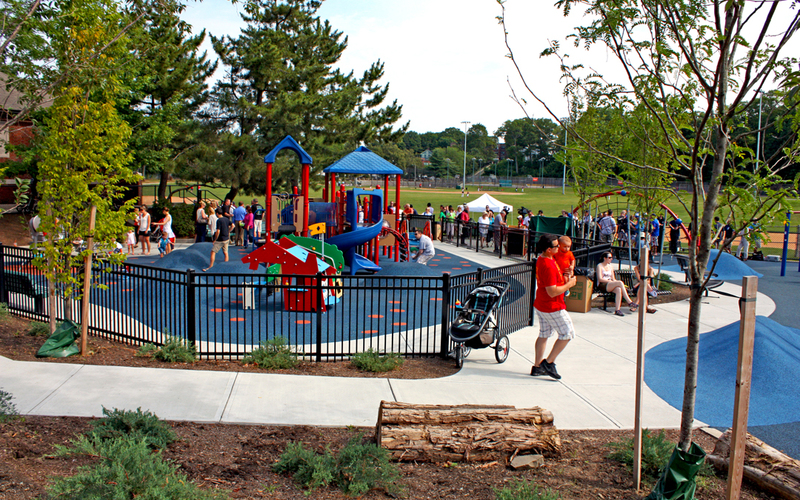 New, large trees were planted to provide shade in the center of the park with structural soil fed with water infiltrated from the water play. 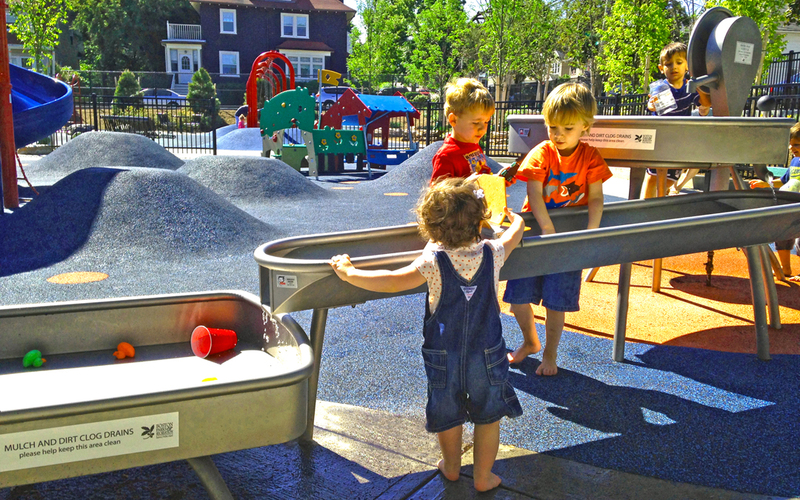 Durable nature play was created on landscaped slopes within play area and includes locust logs, shade and flowering trees, prickly junipers and soft sumac that kids can make trails through. Close collaboration with the client and community led to the completion of this well-received project, which would later be renamed the “Lt. 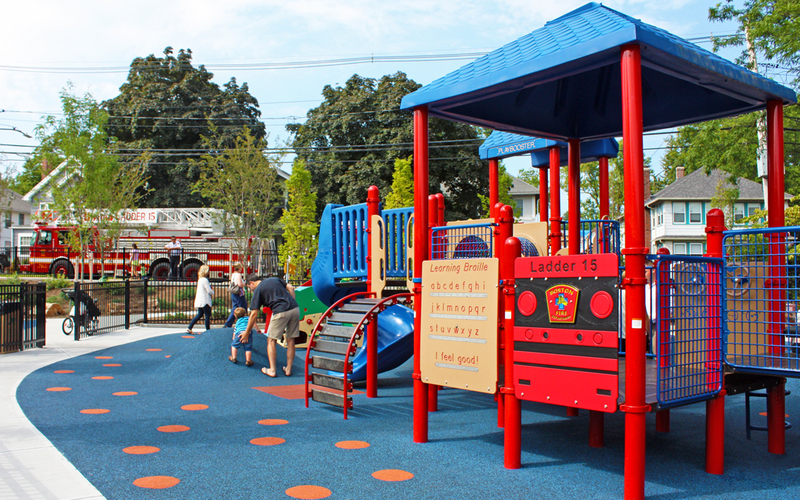 Edward Walsh and Firefighter Michael Kennedy Tot Lot,” in honor of Boston’s fallen Firefighters.